I made it to Spring Break and I'm so excited! I have nine glorious days off. Don't get me wrong, I really love the kids I teach and my job, but it's definitely exhausting. Just knowing that I can do whatever I want for the next week is such a relief. 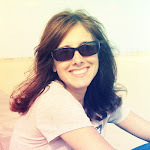 I'm planning on lots of lunches with friends, scrapping and maybe even a little spring cleaning. We'll see. I have a few things to share this week. 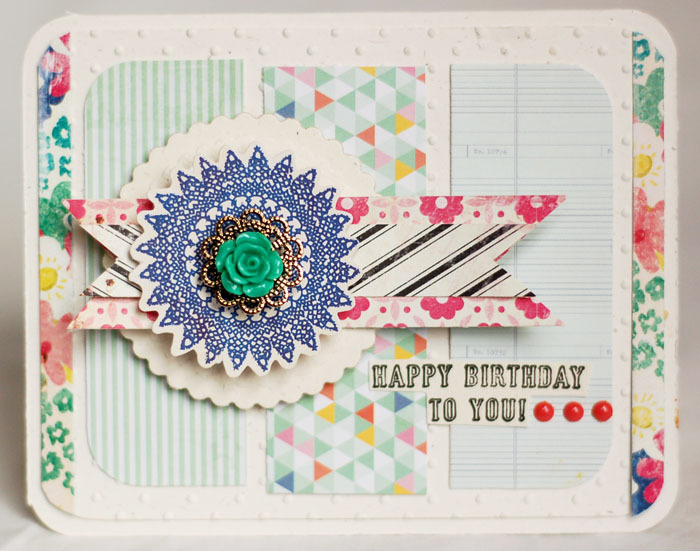 First up today is a card I made for Emma's Paperie. 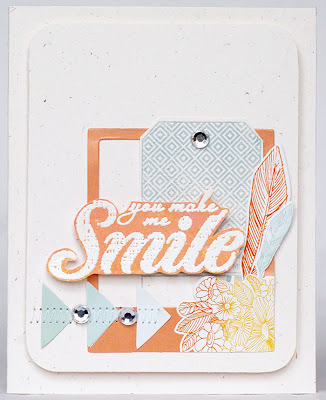 I used AC Lucky Charm, some Studio Calico and some Crate Maggie Holme's line. I started off by embossing the background with my favorite swiss dots embossing folder. 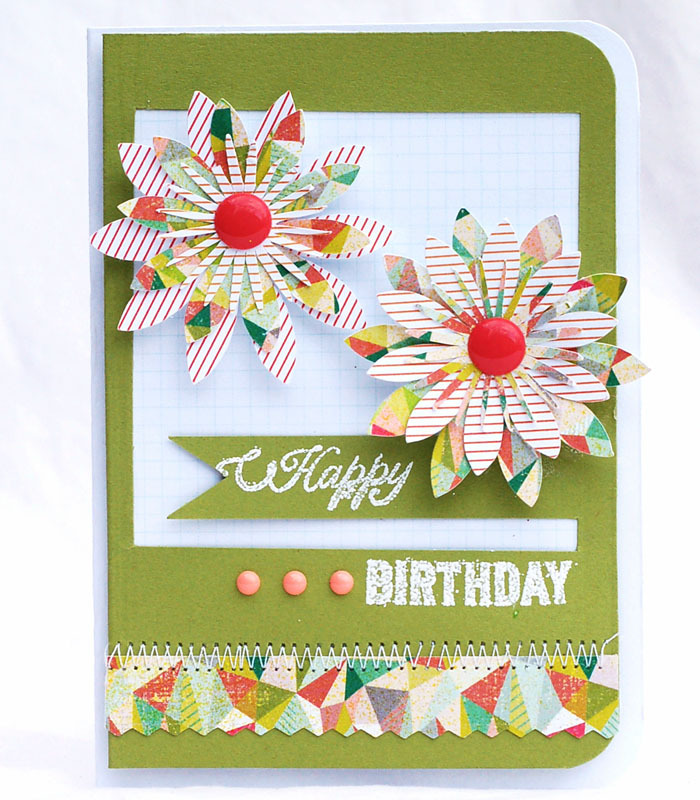 Then I layered on the papers and the die cuts. This card is based on March's sketch at Emma's Paperie. 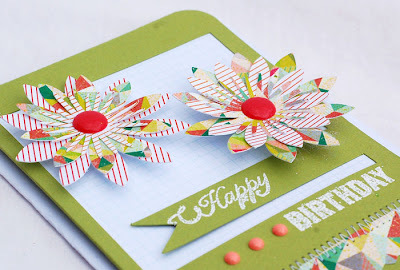 The next two cards are ones I did for the You've Got Mail Class at Studio Calico. I've been really enjoying this class and the challenges they've offered. 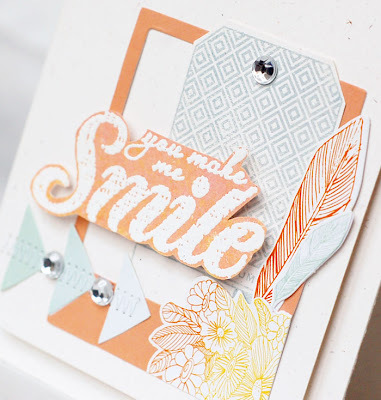 On here, I created the background paper I stamped my sentiment on, using mists. It's hard to see,but it has a mix of pinks and yellows on it. I also stamped the tag in the background. My final card uses a lot of Silhouette die cuts. The polaroid frame comes from the SC class files. I added the flowers. There's lots of dimension on here. I love the colors. 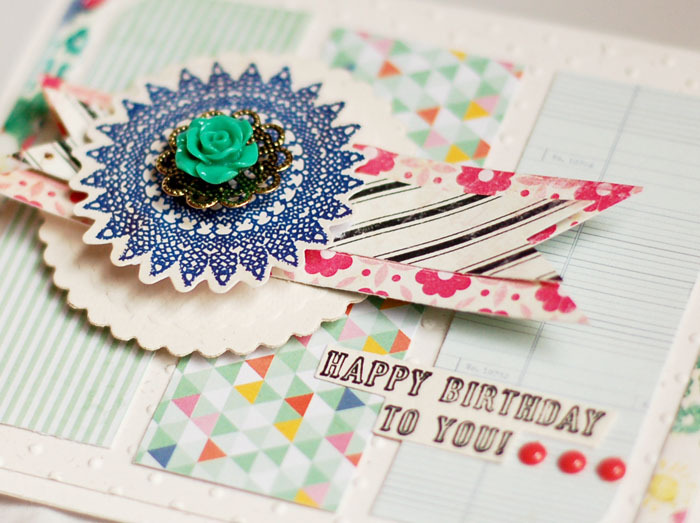 And that triangle paper is one of my absolute faves. It came from the SC card kit, Neverland. Love the cards especially the first one! Enjoy your break! Gorgeous cards!! Love the new papers! Thanks for the chance to win! Thanks for the opportunity to win the stamp. Hope you have a great 9 days off. Your cards are great, love your use of color. You always inspire me and make me want to get my craft on! Enjoy your break! I'd love to win the stamp. I really love your cards! They are all clean with a nice shabby chic touch. Just love your style! LOVE LOVE LOVE your work. Always have, always will. Winning this giveaway - hmmmm ... will that make me just like you? Amazing cards! Thanks so much for the chance to win the SC stamp! Lovely as always. Such pretty colors! Yay! for spring breaks! Have fun!! Always loving your cards! Love these too, especially the first one. 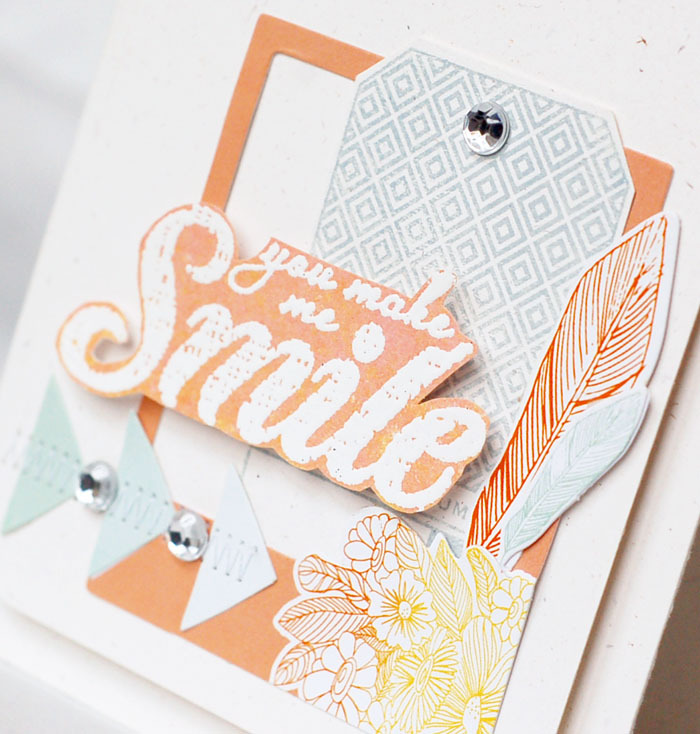 You make me want to go home (I'm in the office) and start creating cards! Love how you put together all these lovely bright colours. These look fabulous!